Alhambra’s portfolios are designed to work together to help you achieve your financial goals. It all starts with an intelligent strategic plan, The Fortress Portfolio, which forms the foundation of our client portfolios. This portfolio was designed to protect and grow wealth in all types of economic and market environments. Our flagship portfolio, the Fortress Portfolio, is our original asset allocation strategy. We connect the portfolio to specific economic environments and investments that would perform well in those environments. The Citadel Portfolio builds upon the Fortress Portfolio framework using prudent tactical tools. These dynamic portfolios, a product of years of research and our continuing market analysis, use macroeconomic and other indicators to optimize current asset allocation. We have two main Risk Portfolios that we use in conjunction with our Asset Allocation models. Our Pathfinder Portfolios seek the best path to strong near-term performance using momentum and trend following techniques. The Archer Portfolios target superior long-term performance using proprietary stock-picking methodologies such as valuation, quality, and dividend growth.  The Alhambra Portfolio is a refined and upgraded Citadel Portfolio. We implement our Pathfinder & Archer Portfolios within the different asset classes in an effort to create Alpha, while minimizing added risk.